This is the San Francisco Bay Area Chapter of the international organization Zero Waste Youth. We are a group of students and young professionals aiming to develop and promote concepts for a zero waste future through waste reduction, reuse, and source separated recycling and composting to conserve our natural resources. This organization strives to empower youth through learning, envisioning, and action to bring the true zero waste concept to their schools and communities. This group formed in 2013 during the Northern California Recycling Association annual Recycling Update when event organizers initiated the first Zero Waste Youth Convergence in the United States on March 17, 2013. Over 200 participants from all over the San Francisco Bay Area gathered at the Convergence for a day of learning, collaborating and networking. Zero Waste Youth USA is still in development and welcomes participation and input from you! Email us at info@zerowasteyouthusa.org or find us on Facebook! 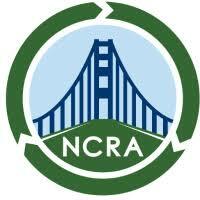 The Northern California Recycling Association (NCRA) is our advising organization, and provides support and direction for the Zero Waste Youth Convergence. For more information, visit ncrarecycles.org.